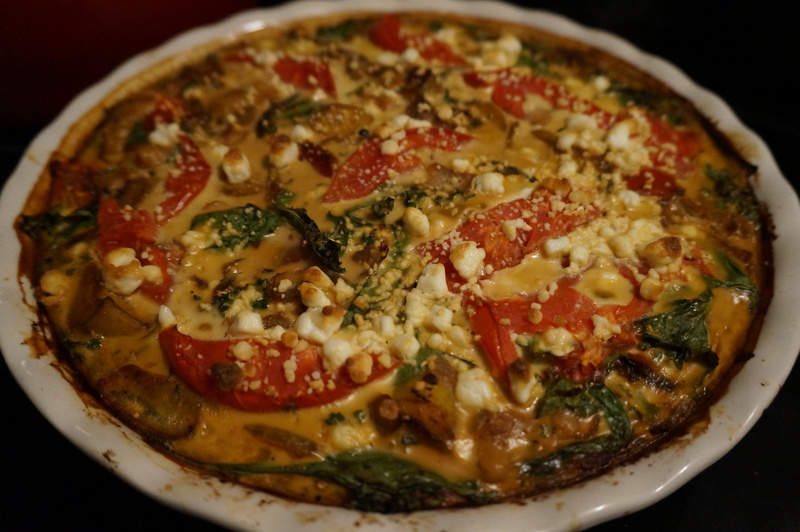 Take your ordinary quiche to a whole new level with this ethnic spin on the classic recipe. I added a bit of red curry paste and chili sauce to the egg mixture, then poured it over caramelized veggies. 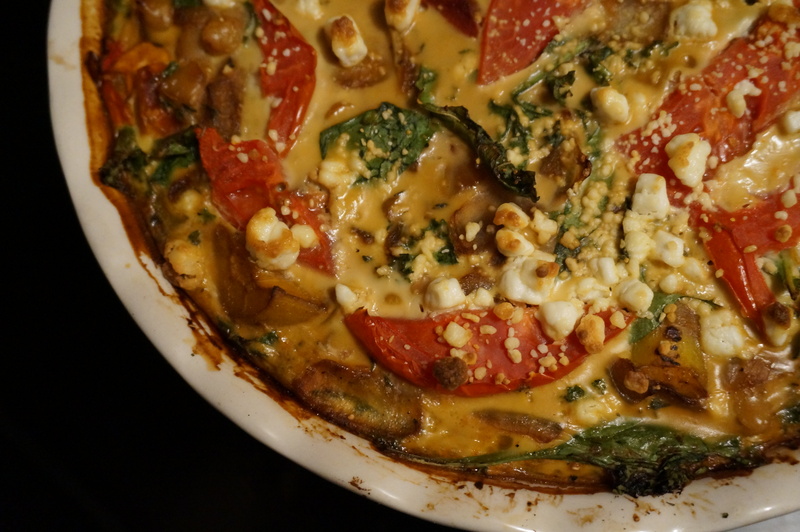 The best part of this quiche, though, is that instead of that store bought crust packed with preservatives and chemicals, I toasted quinoa and lentils and let them serve as the bottom layer! They soaked up the egg and created a perfect base for holding the rest of the pie together. I will never, ever buy that yucky store crust again! Preheat oven to 375. In a pie pan sprayed with cooking spray, spread the uncooked lentils and quinoa and toss the pan a bit to form an even layer. Blind bake in oven for 10-12 minutes, or until toasted. Heat oil in a large skillet on medium high heat. Add garlic, thyme, onion, red peppers, and carrots. Cook until soft and browned, about 4 minutes. Deglaze pan with red wine. Stir in soy sauce, beans and spinach. Layer veggies on top of quinoa-lentil mixture. and press down firmly. In a medium bowl, add eggs, water, milk, red curry paste, chili sauce, and cumin. Whisk until frothy, about 1 minute. Pour egg mixture on top of veggies. Top with tomato slices and goat cheese. Bake 30 minutes or until egg is set and lightly browned. Cool at least 5 minutes before slicing! Serve with side salad and a dollop of Greek yogurt.